Like us to stay current on news and upcoming events! 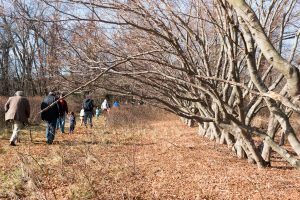 Join the Friends of Princeton Nursery Lands for a celebration of spring and a walk through the former Princeton Nurseries Kingston Site. 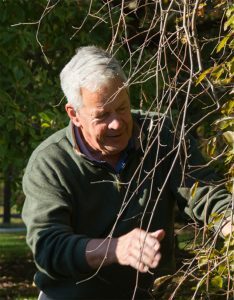 The walk will be led by Rick Henkel, formerly Sales Manager for Princeton Nurseries, for which he worked for 32 years. 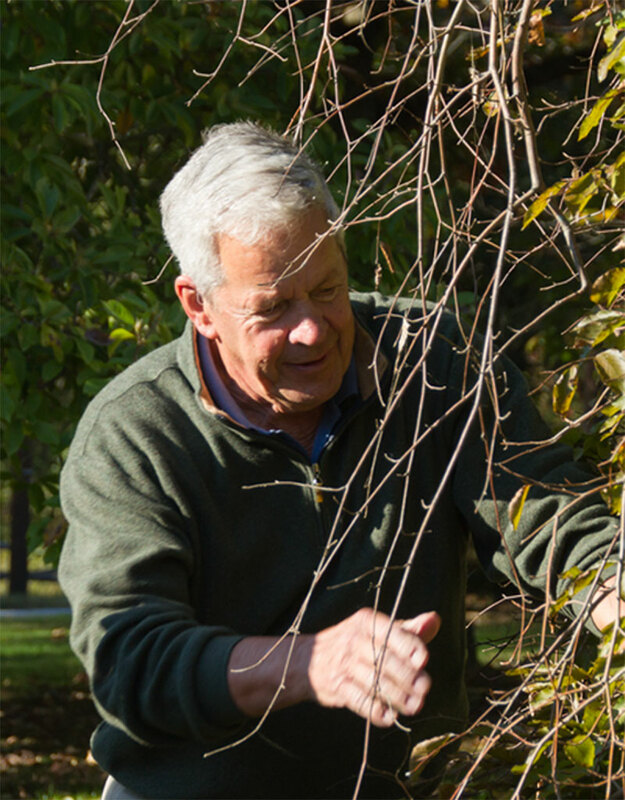 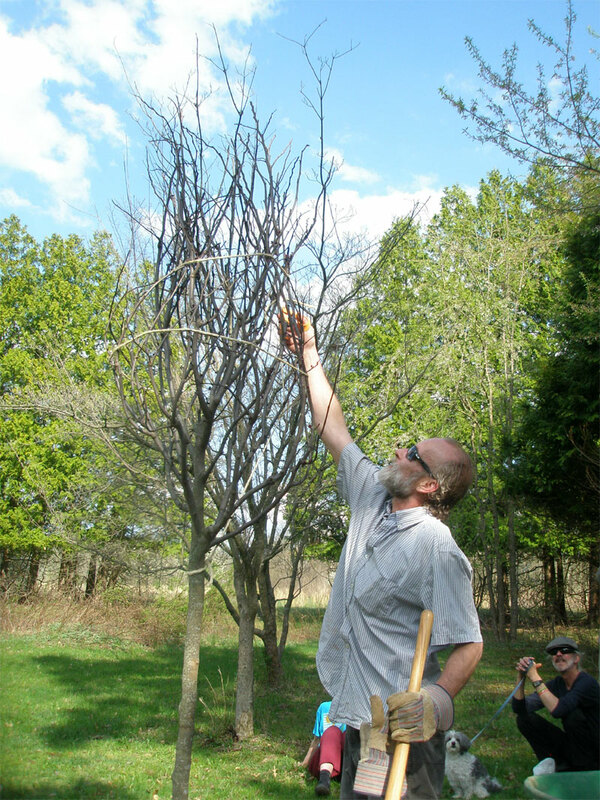 Rick has an extraordinary knowledge of trees and knows the Kingston Site and its trees intimately. 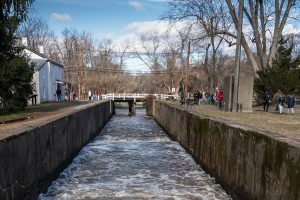 Meet at the Main Office for the D&R Canal State Park at 145 Mapleton Road in Kingston for this leisurely two-hour afternoon walk. The event is free and open to the public. 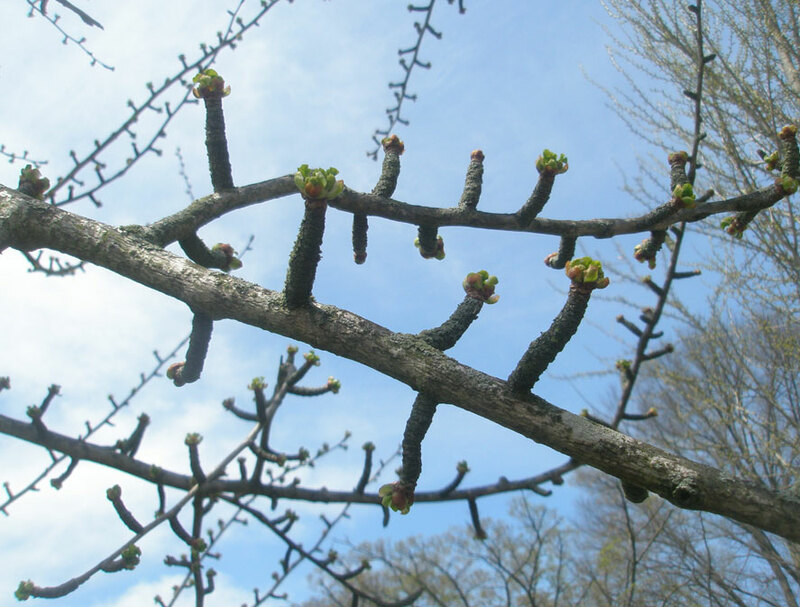 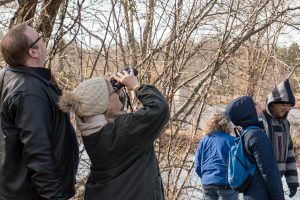 Ten people spent three intensive hours with Karen Linder using field guides and keys to hone their skills at identifying trees without their leaves, using clues found in buds, fruits, leaf scars, branching patterns and bark. 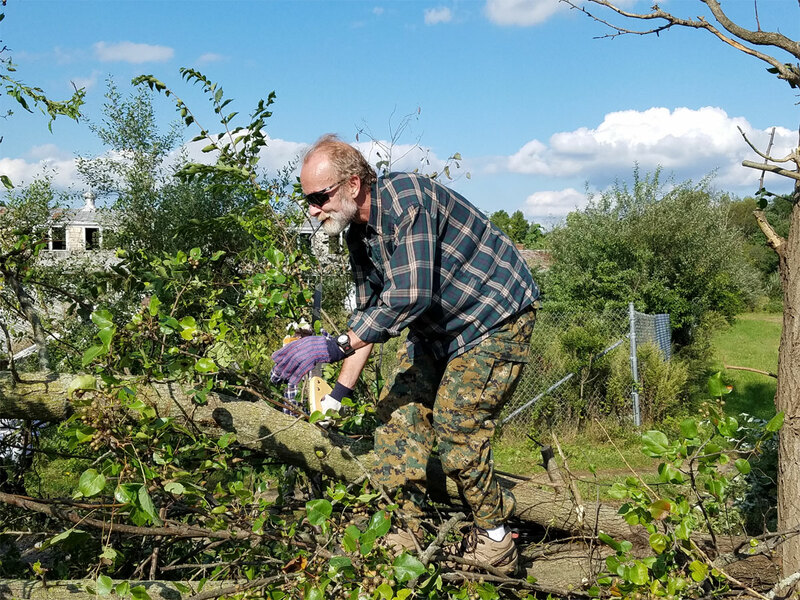 We are grateful to the two hardy crews who helped free the trees in the ginkgo row of vines and invasives, and collected trash along Mapleton Road. 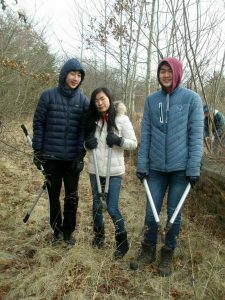 A special thank you goes out to our registrars Beryl and Robert, and to our president Karen Linder for providing hot cider and other welcome refreshments. 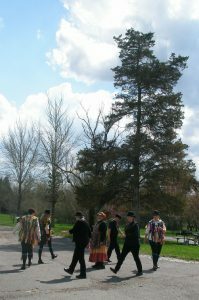 The weather was chilly and breezy, but the atmosphere was warm with energy and fellowship! 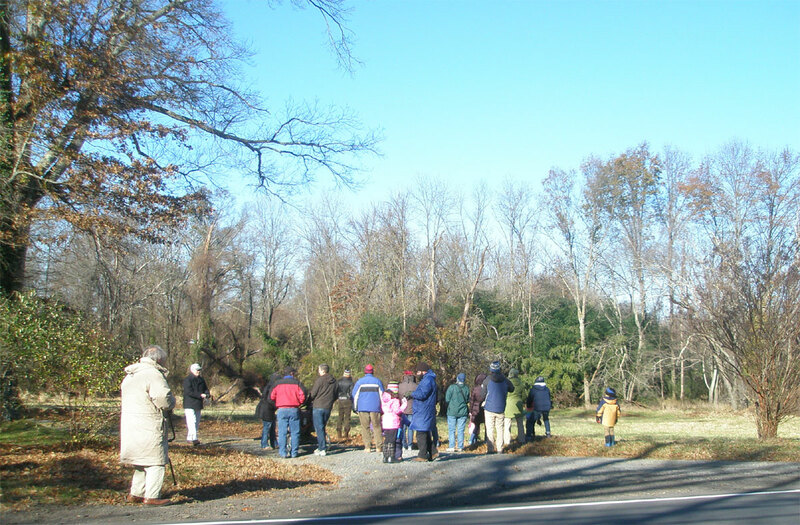 Well over one hundred people walked with us on New Year’s Day, through the Mapleton Preserve, across Mapleton Road to the path between the D&R Canal and the former seedbeds of Princeton Nurseries, on to the turning basin and the Locktender’s House, and back along what we like to call the osage orange trail. 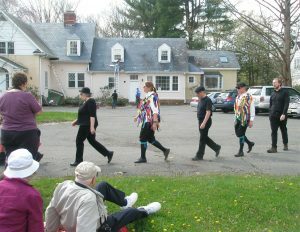 Photographer Laura Hawkins captured these terrific photos. A big thank you to her and all who participated for starting the new year off on a bright note! 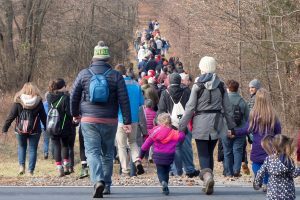 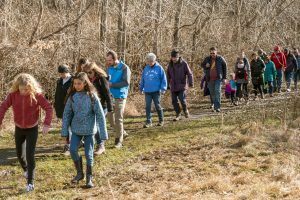 A score of people turned out for our annual Thanksgiving Day morning exploration of the Mapleton Preserve, despite the bitter temperature, to search for signs of our local wildlife and what they might be having for Thanksgiving dinner–a rather different menu from ours! 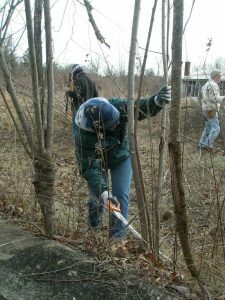 Crews removed brush and vines from the base of the Preserve’s signature ginkgo row and elsewhere in the Preserve, and collected litter on the Nursery Lands and along Mapleton Road and Division Street. 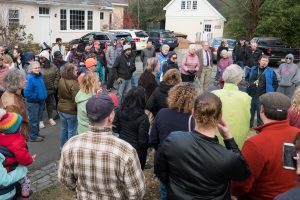 Sincere thanks to all for their efforts! 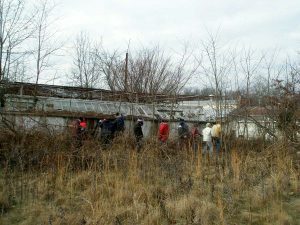 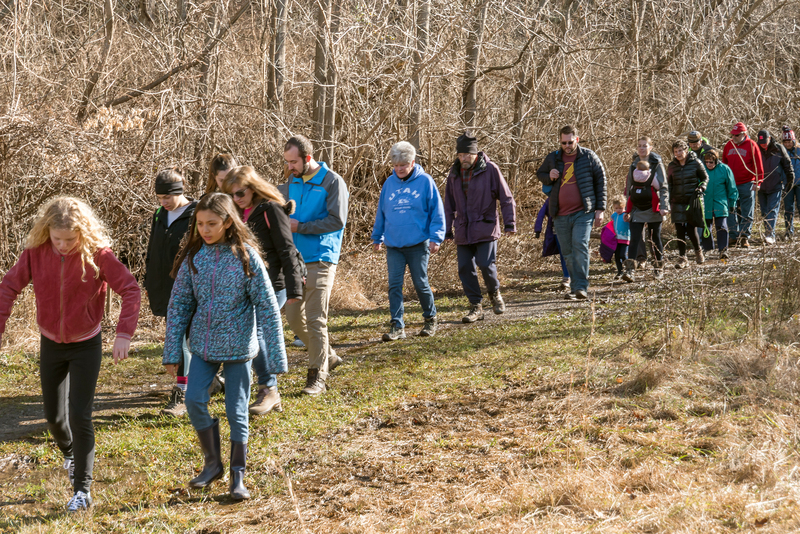 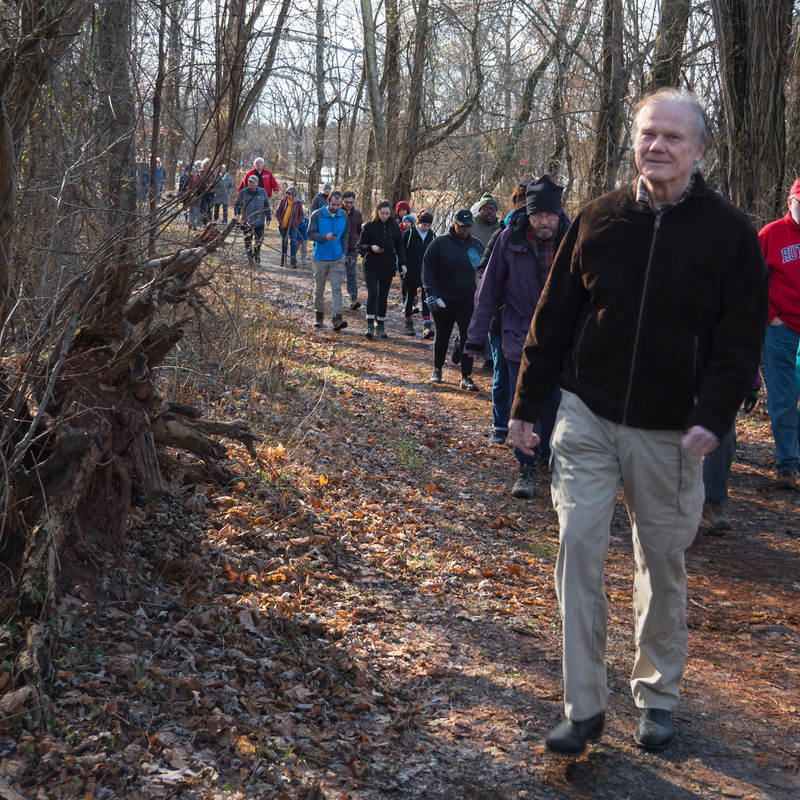 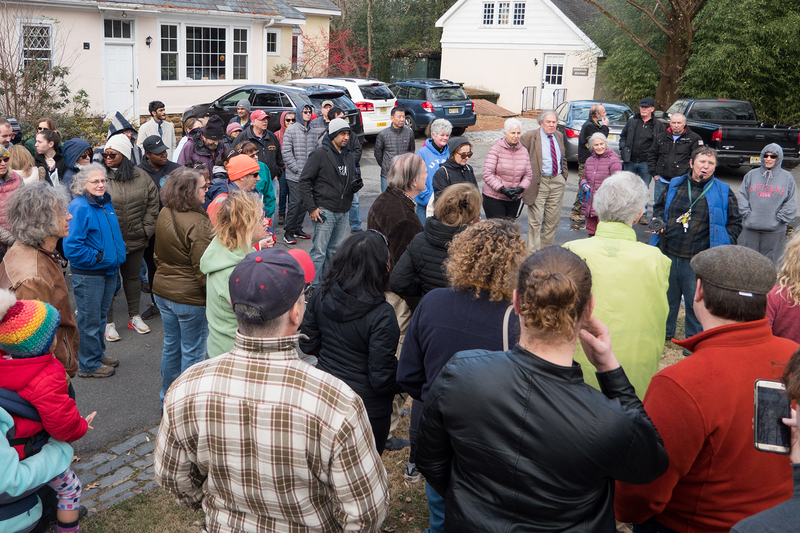 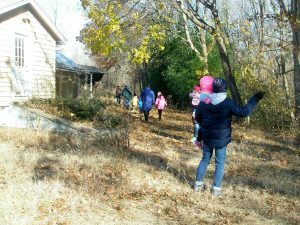 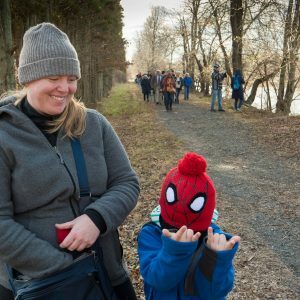 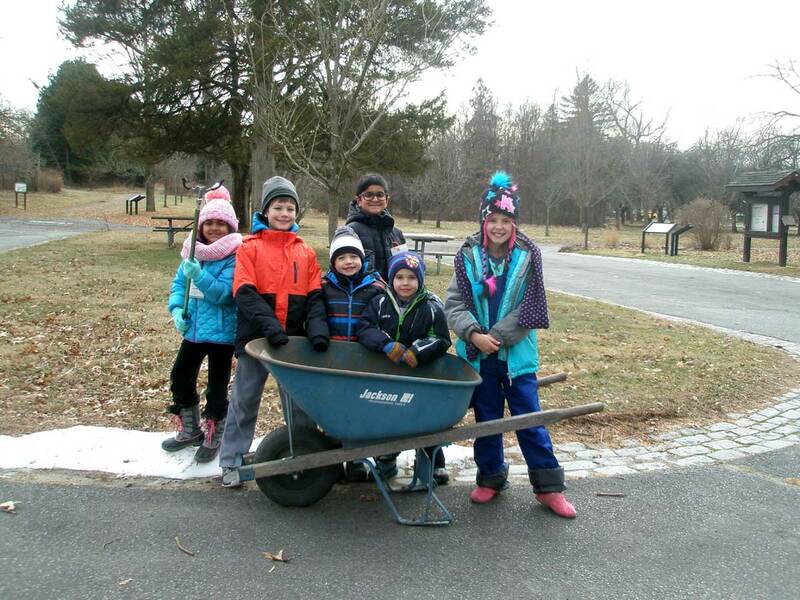 An “old-fashioned scavenger hunt with a modern twist” was hosted by Friends of Princeton Nursery Lands, in collaboration with the D&R Canal State Park Naturalist. Teams cooperated to find natural objects and complete fun-filled tasks in a timed event. 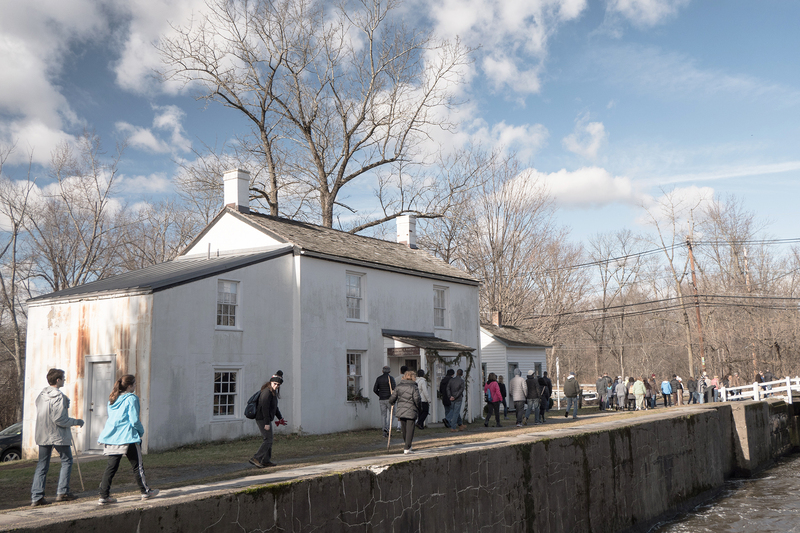 During the business meeting, President Karen Linder thanked outgoing trustee Gwen Southgate for her years of enthusiastic and dedicated service to FPNL, and we welcomed three new trustees: Ksenia Bobylak, BreeAnne Lemmerling, and Jason Rand. All three have already contributed considerable time, ideas, and energy to our organization, and we are honored and delighted to have them join our Board of Trustees. 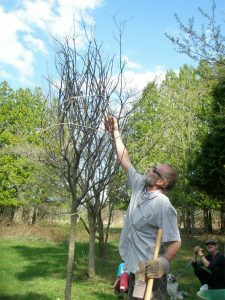 Tyler Christensen gave a riveting and engaging presentation on the Northern Copperhead snake, a reptile of surprising docility, beauty, and complexity, despite its reputation for aggression and perniciousness. 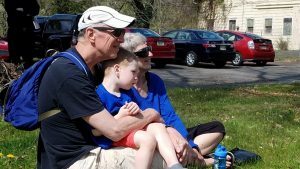 It is one of two venomous snakes found in New Jersey (the other being the Timber Rattlesnake), both of which are imperiled in the state. In addition to giving us insight into the lives of these creatures, he spoke of an ongoing radio-tracking study of Northern Copperheads taking place in the Sourlands of central New Jersey. Because their astonishingly cryptic pattern and behavior render them nearly invisible among the leaf litter on the forest floor, radio telemetry has allowed individual snakes to be tracked over multiple seasons, and has revealed a great deal about the state’s southernmost population of these remarkable forest vipers. 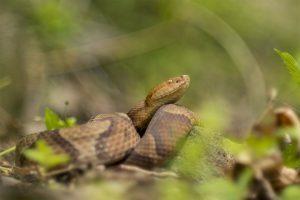 Tyler Christensen manages a radio-tracking study of Northern Copperheads through his company, Piedmont Ecological Services, LLC. 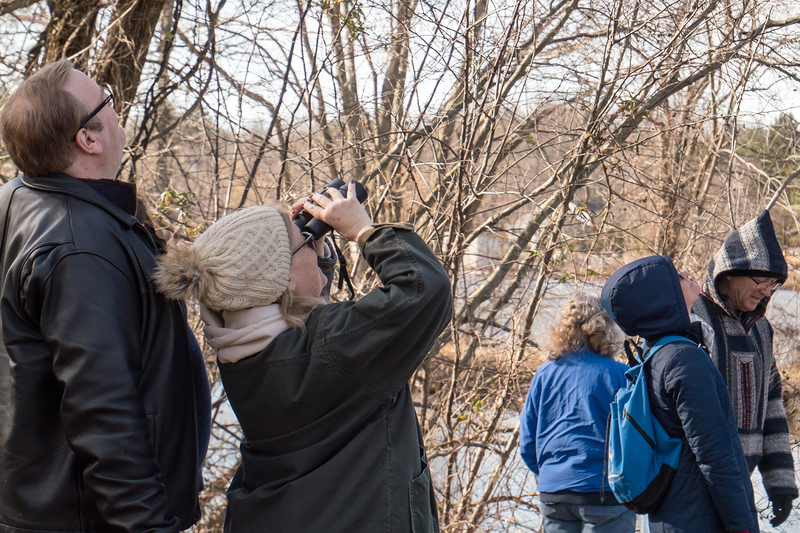 Tyler is the director of the non-profit Wild Bird Research Group, Inc., through which he coordinates bird banding research on nearctic-neotropical migrants during the winter months in Costa Rica and Northern Saw-whet Owl migration and winter ecology in New Jersey. 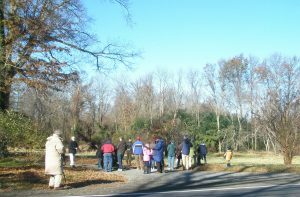 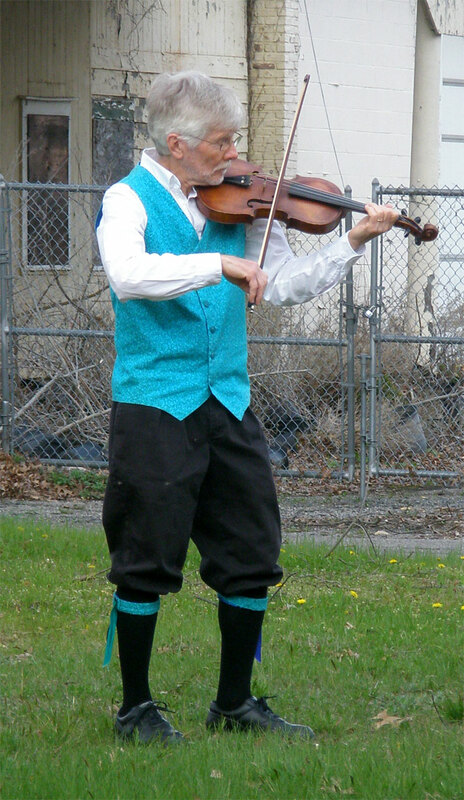 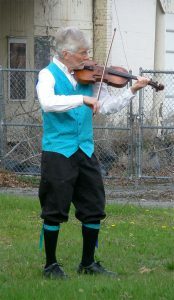 He is currently a Land Steward for Friends of Hopewell Valley Open Space and a board member of the Washington Crossing Audubon Society. 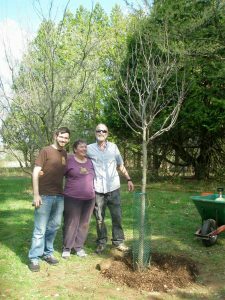 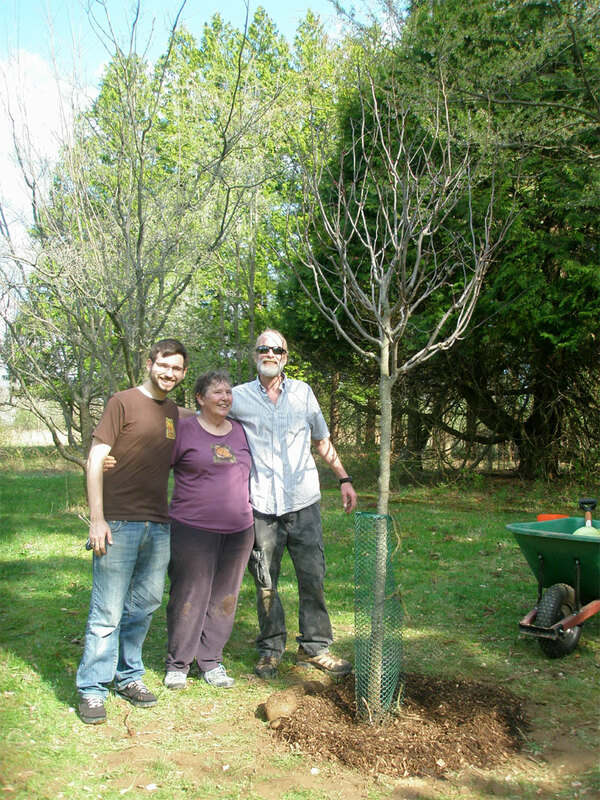 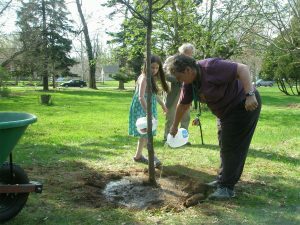 Karen Linder led a brief tree appreciation walk featuring flowering trees, and a beautiful memorial redbud was planted with a lot of help from our friends! 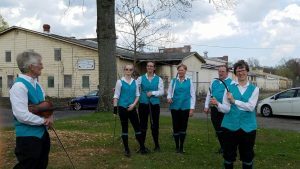 Dance groups Handsome Molly and the Griggstown Lock Rapper Sword Dancers provided music and dance to revel in the season. 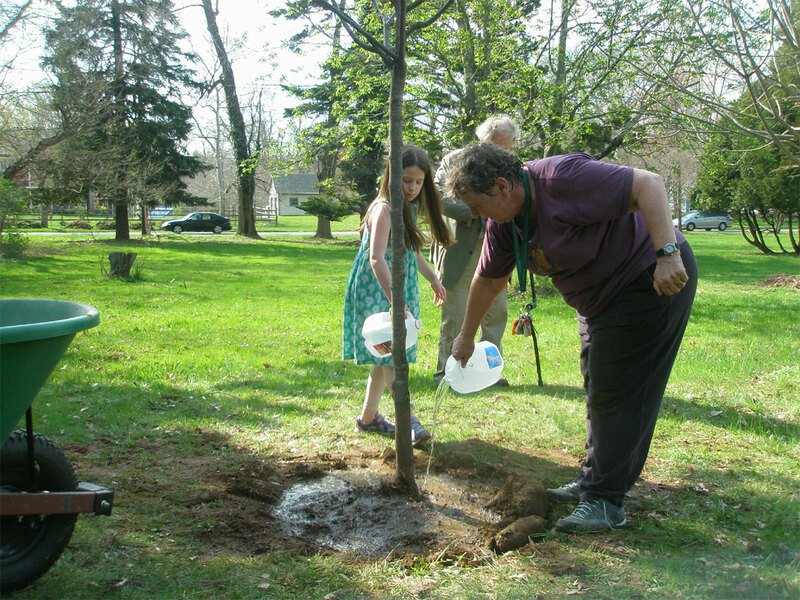 Our thanks to all who made this a festive celebration of Arbor Day. 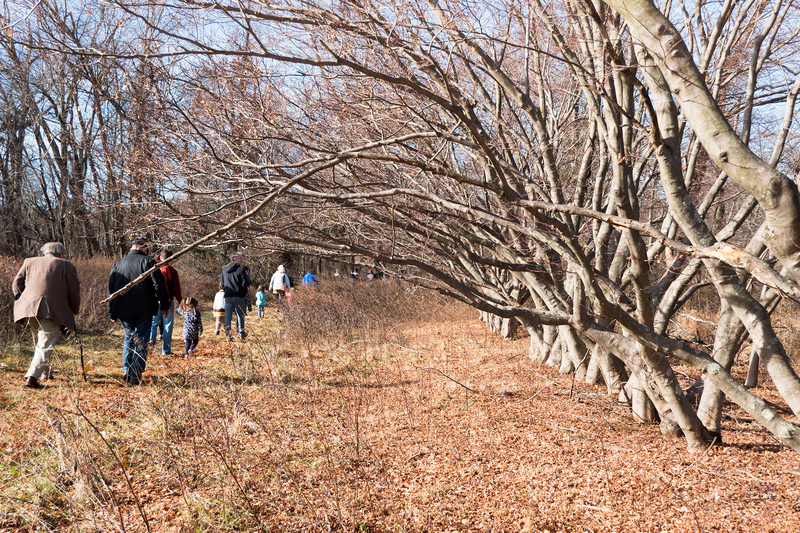 The old Princeton Nurseries fields are full of grasses, wildflowers and wildlife. 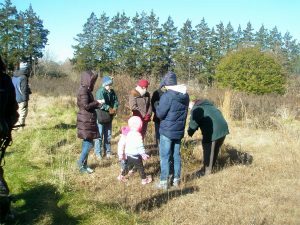 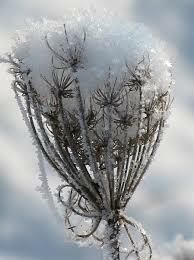 In the snow-coated fields, Karen Linder and a dozen participants learned to identify plants in the “off-season,” and looked for evidence of the wildlife that lives in the Preserve. 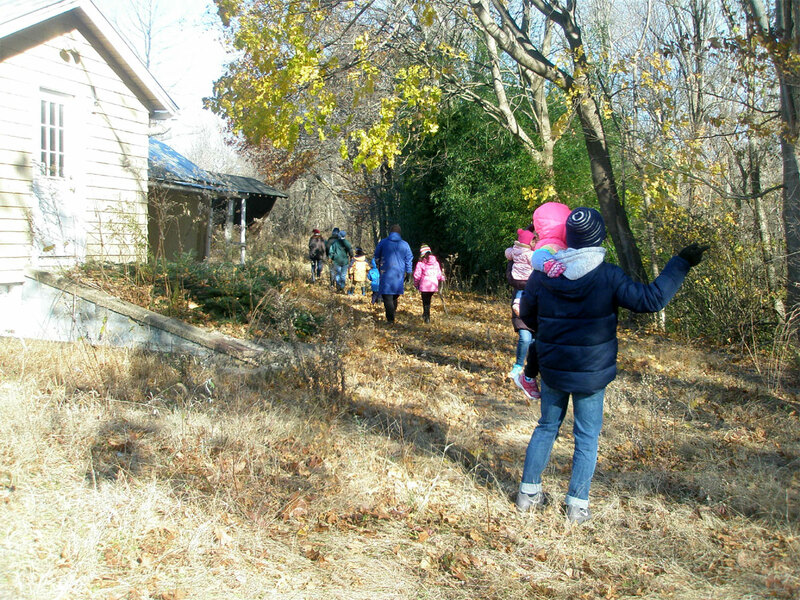 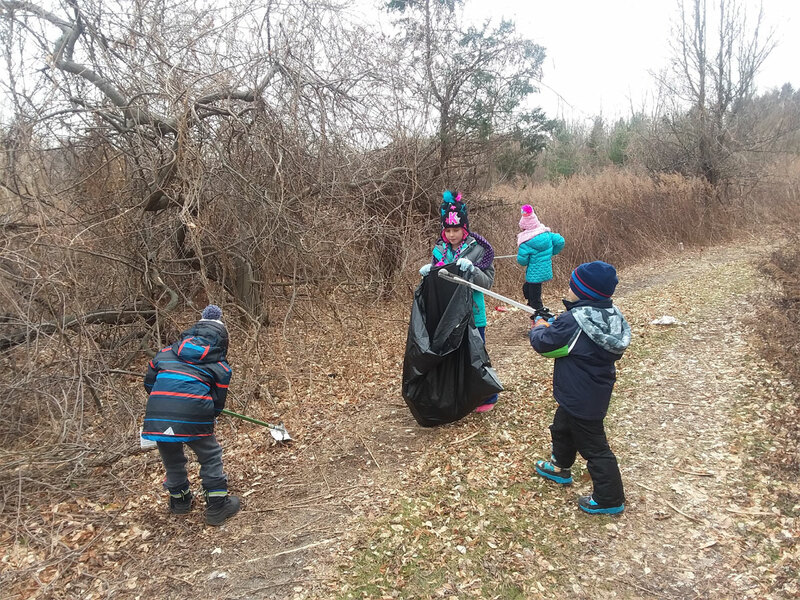 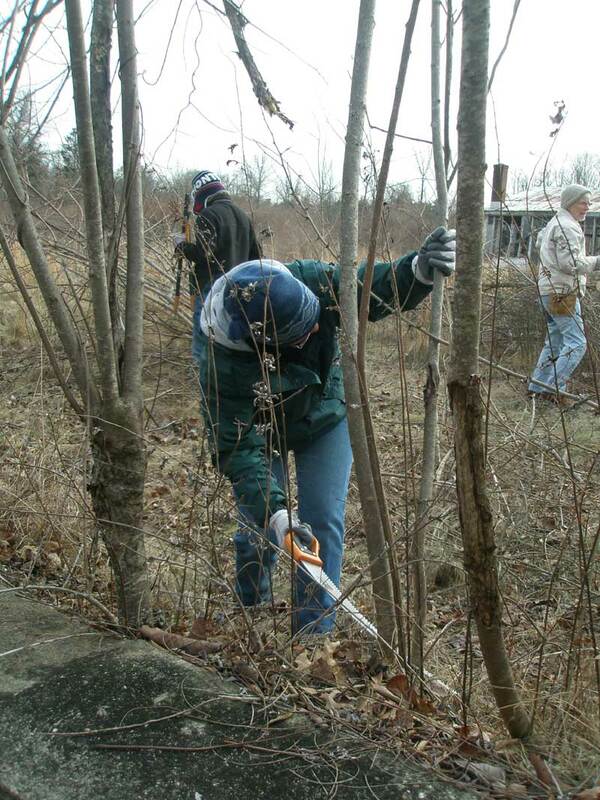 Two dozen volunteers of all ages took part in a cleanup session in the Mapleton Preserve. 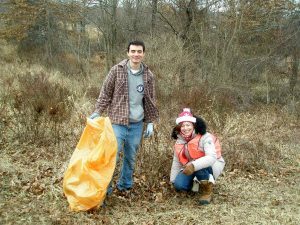 Crews collected many bags of trash, tires and other big debris within the Preserve and along Mapleton Road. 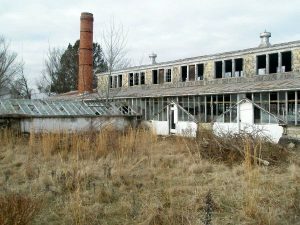 A vigorous team took down vines, shrubs and small trees around the Propagation House, which will be the first building to be rehabilitated. Asbestos remediation is expected to begin soon, and then the restoration process can at last commence. 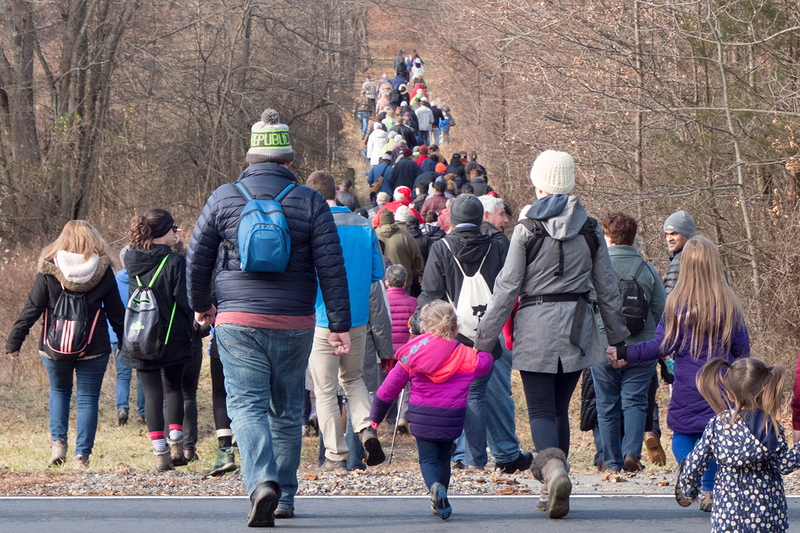 We thank all who proved that energetic stewardship is important, fun, and a good way to keep warm on a sub-freezing day!